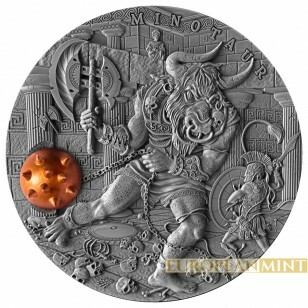 The 2017 silver Minotaur coin is the second issue in the "Ancient Myths" from the Mint of Poland. 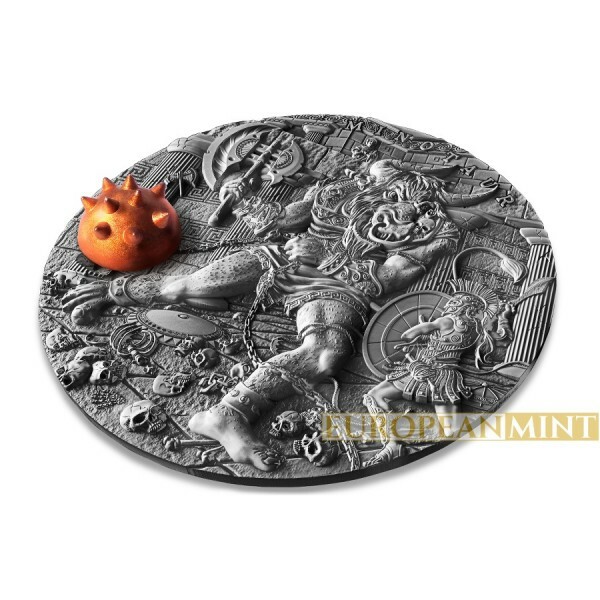 It contains two ounces of 999 fine Silver and measures an impressive 50 mm in diameter with High Relief. It has a ball with spikes inserted in the coin made in Brass. 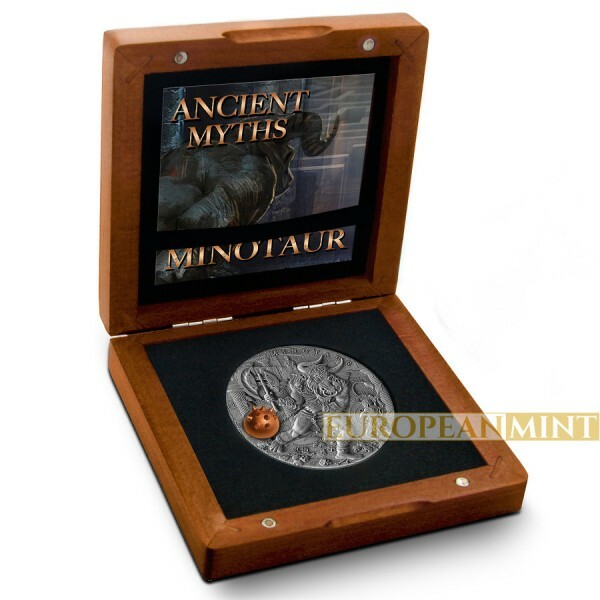 The coin is rimless with Serial Number engraved and it comes in a wooden box with certificate of authenticity. 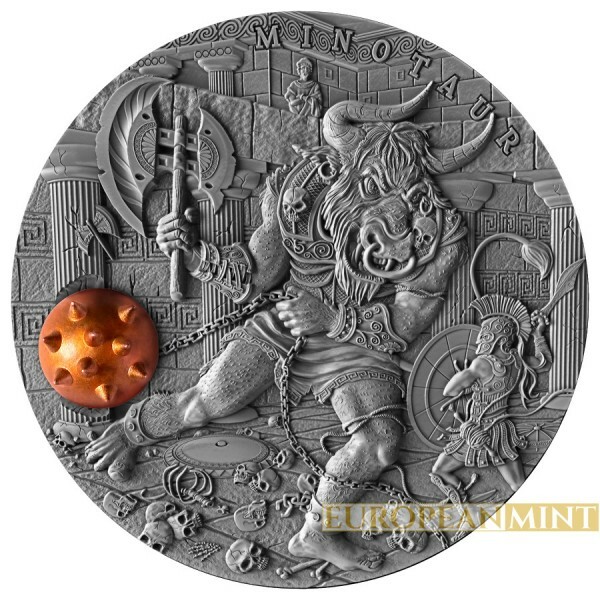 This is an exclusive coin with only 500 mintage worldwide and it will be sold out very fast, get your coin now! 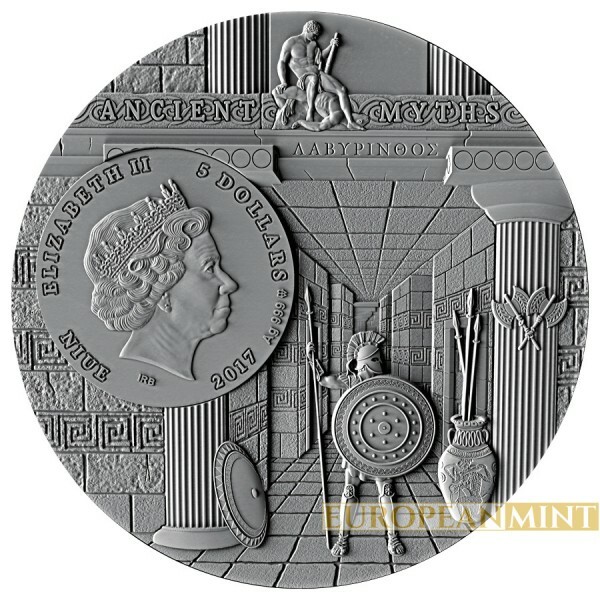 Coin In Stock!